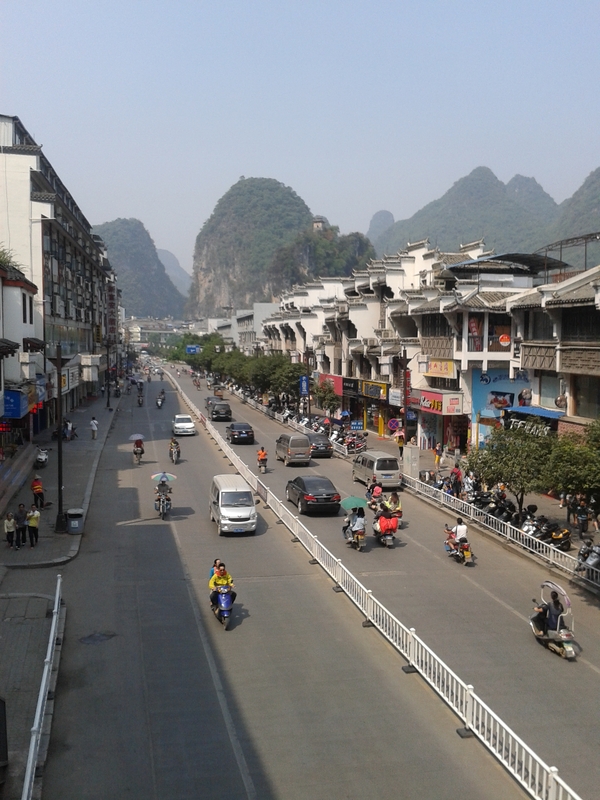 Introduction to Yangshou – Where's Walton? 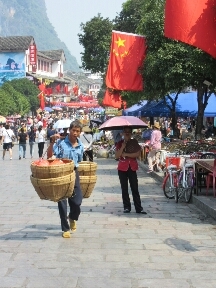 We arrived at Yangshou this morning, Tuesday 7th October at 7.30am. This city is beautiful, it has your typical tourist stores and street food but walk 10 mins away from the hostel and you’re amongst the locals. When we were exploring the local town even though the shops and cafes have English names, inside English is not spoken at all and my terrible Manderin mixed with a bit of Charades doesn’t seem to be working. I thought my shivering and ‘bbrrrr’ interpretation was a good indication of ‘cold’ when asking for a drink… maybe not. 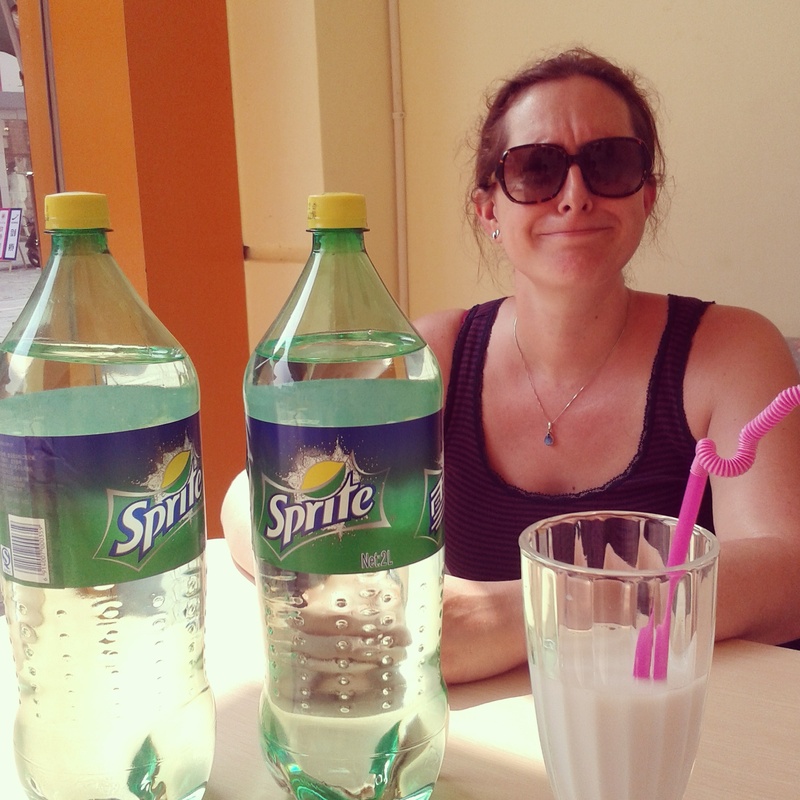 The funniest part of the afternoon was ordering two regular bottles of Sprites in a cafe. And we got…. 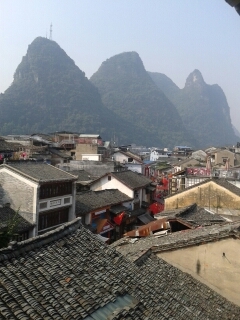 Day one in Yangshou was quite a chilled out day. The majority of the group went Kayaking but I decided to just explore and rest in preparation for all the activities I’ve signed up for this week. 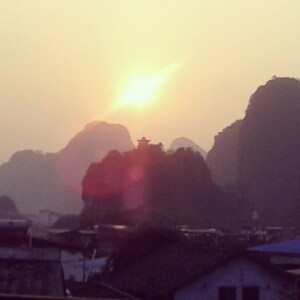 I ended the evening sat on a roof top eating some £1 noodle street food looking at this view. On Wednesday 8th October we hired some bikes to take us to all our activities that day. The roads here are insane!!!! No one signals, no rules… you can even drive on the wrong side of the road if you wanted to. There are bikes, tandum bikes (hilarious), scooters and then all the normal vehicles and people just honk their horns. Also people just risk crossing the road hoping for the best. We all survived. We then took a Bamboo boat ride down a river. Followed by climbing Moon hill – an 800 step hill to another amazing view point – we just can’t get enough of these views. After this we explored some caves we had a dip in the mud baths and hot springs before heading home to the best massage of my life. 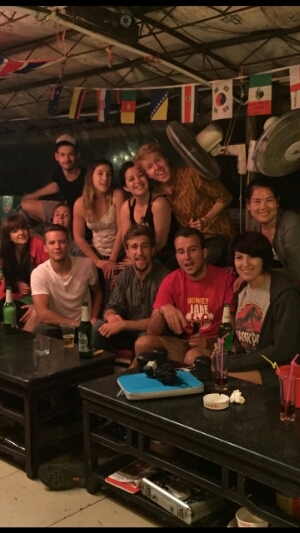 Finally after an evening of playing cards and beer pong we took to the streets at 2am to taste some of china’s finest street food…we found only one vendor open. Weirdest food consumed? Pig willy on a stick.